The purpose of this article is to describe the association between spontaneous osteonecrosis and insufficiency stress fractures of the knee. 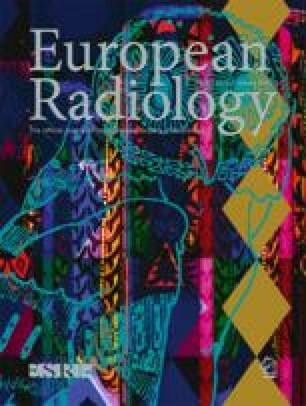 To determine whether insufficiency stress fracture is associated with spontaneous osteonecrosis of the knee, we retrospectively reviewed the medical charts and imaging studies of all patients with spontaneous osteonecrosis of the knee, studied by MR imaging, seen in a tertiary hospital over an 8-year period. Four women (age range 66–84 years) presented spontaneous osteonecrosis of the knee associated with insufficiency stress fracture of the medial tibial plateau. One of these patients also presented a concomitant insufficiency stress fracture of the medial femoral condyle. Radiographs were diagnostic of spontaneous osteonecrosis of the medial femoral condyle in three cases, and insufficiency stress fracture of the medial tibial plateau was detected in one case. Magnetic resonance imaging allows the diagnosis of both conditions in all four cases. Spontaneous osteonecrosis of the knee may be associated with insufficiency stress fracture of the medial femoral condyle and the medial tibial plateau. This association provides additional arguments in favor of the traumatic etiology of spontaneous osteonecrosis of knee.